We are now entering what seems to be a postantibiotic era with the emergence of pathogenic strains of bacteria that are resistant to most, if not all available antibiotics. Given the paucity of new antibiotics or therapeutic mechanisms to fight off bacterial infections, there is a global attempt to rectify this problem. Interestingly enough, there may have been an answer all along – bacteriophages. As we have written before, when we think about viruses, we generally think of them as human contagions such as the flu, HIV, and the common cold. However, all organisms, not just humans, have viruses that infect them, including bacteria. Bacteriophage (or just ‘phage’) is the special name given to these viruses. 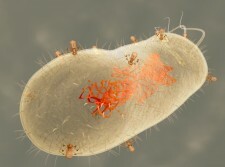 These phages interact with bacteria in the same way they do with human cells (or any other cell for that matter): they enter the cell, take control of the host’s cellular machinery, trick the cell into making more copies of the virus, burst the cell open to release these new copies, and then the cycle repeats. The phages are also species specific, and sometimes even strain specific; a phage that attacks MRSA is not a threat to a human cells, nor to an E. coli cell. In a new study, published in the journal Scientific Reports, a new bacteriophage has been discovered in Dodge Pond in East Lyme, Connecticut, that attacks another common drug-resistant bacterium called Pseudomonas aeruginosa. The phage attaches itself to the bacterial membrane and weakens the machinery (efflux pumps) that allow it to resist antibiotics by pumping out the drug that is supposed to kill it. Once these pumps are quieted by the phage, the antibiotic will be able to do its job. Pseudomonas aeruginosa is a greatly feared pathogen. 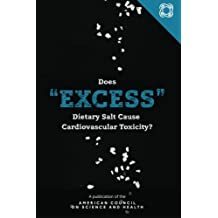 It is common in the environment, especially water — even distilled water. It is a source of hot tub-associated infections as well as contaminated contact lens solutions. But it is in the hospital where this bug really takes a toll, especially in intensive care units as it seeds sources of water supply such as sinks and respiratory equipment. It has attacks the most vulnerable patients – those who are immune compromised, including burn patients. P. aeruginosa is the most common pathogen of ventilator-associated pneumonias which is almost a death sentence – especially as it is poised to become a pan-drug-resistant bacterium (meaning it is resistant to drugs of last resort). Phage therapy, also, is not a novel concept, in contrast to what the authors claim in the paper. Phages were initially identified in 1896 by a British bacteriologist, named Ernest Hankin. He had isolated an ‘unidentified substance’ from the waters of the Ganges and Jumna rivers in India. From that point, onward, the history of the bacteriophage became very interesting and highly political, however, that is a topic for another discussion. What is of critical importance is that the current stage is set for phages to re-enter the therapeutic arena. Rampant, global antibiotic resistance places us in a position where we have no choice but to investigate alternative therapies and bacteriophages are just the revolution we are looking for.